Glacier National Park is one of my favorite places because it is so beautiful. A lot of its beauty can be seen out a car window, but, if you are willing to take some time and effort (i.e. hike), you can experience incredible views and sights. I find God works in our lives the same way. There are some good things that are relatively easy to see and experience, but much of what God works out in our lives takes time and patience. Waiting on God and trusting that HE will work everything out is never easy, but when we love Jesus we know that the effort in the waiting is worth it. 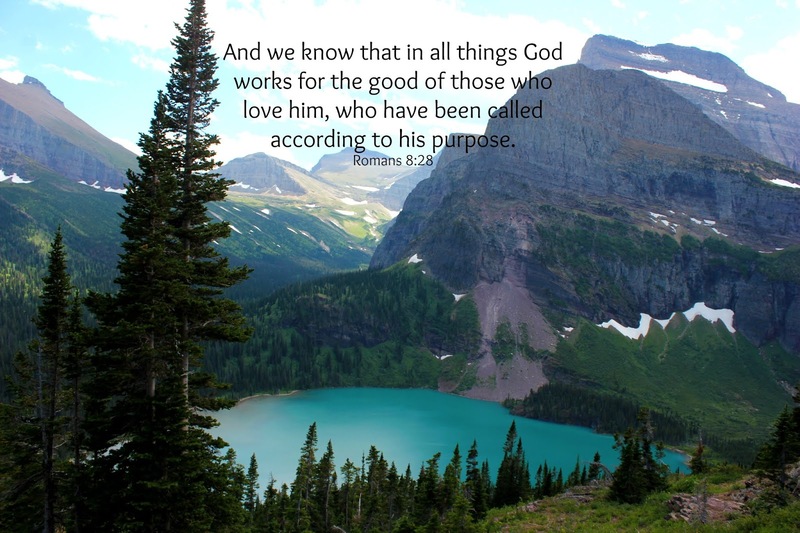 Rest in knowing that he is working everything out. Wow - very appropriate for me today. Thanks Becky!